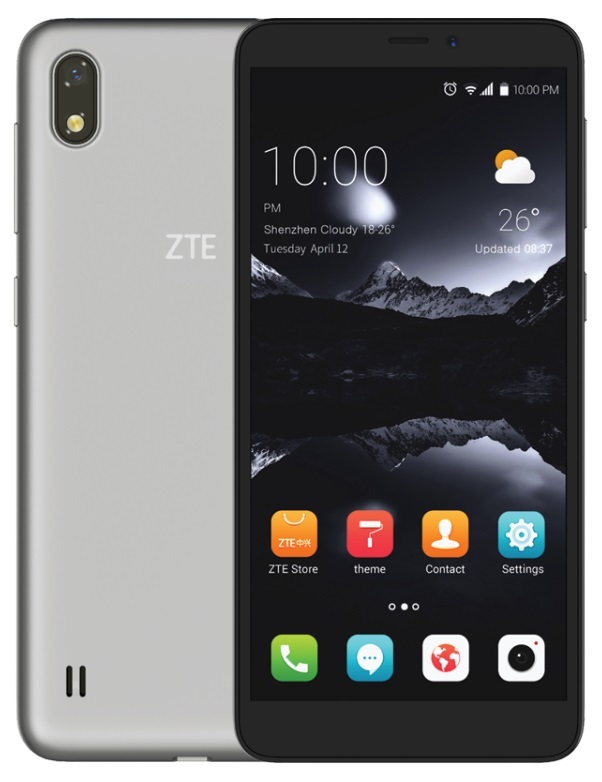 ZTE launched ZTE A530 ,a low buget smartphone along with Nubia Z18 Mini.The handset set featured 18:9 ratio screen and looks iphoneX like camera set even with single sensor. The phone measures 146.4 mm height 69.4 mm width and 8.5 mm thickness and packs in 5.45 inch HD plus display with 18:9 aspect ratio at 1440×720 pixel resolution.It is powered by MediaTek MT6739 1.5 GHz processor and Power VR GE8100 GPU with 16GB storage and 2 GB RAM.Storage can be expand via card slot. ZTE A530 is packed with 5MP single shooter on rear with LED flash while it has 2MP fixed focus camera on front.The smartphone is juiced up with 2660 mah battery.The handset runs on Mi faver 5.2 based on Android 8 Oreo.It has connectivity option like 4G LTE with dual sim support,GPS/GLONASS,Wifi,Bluetooth and comes with proximiry,compass sensors.The budget segment phone is already on sale with approximate Rs 8500 in China.